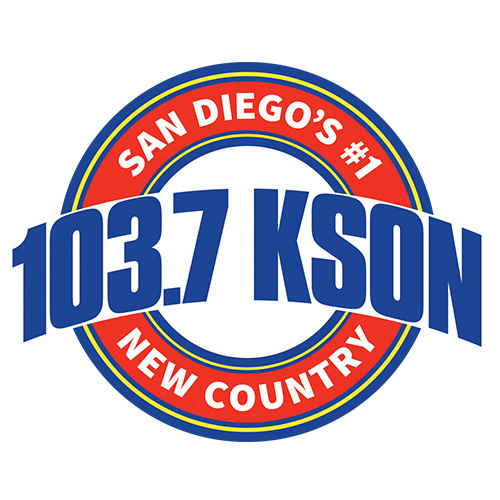 ← 39 Years on KSON! The Punch Brothers played the North Park Theater on Wednesday night and I just had to write about the experience, because that’s what it was for me—an experience, not just another concert. 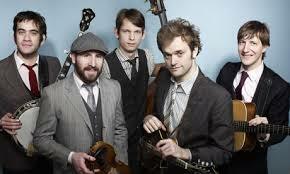 The Punch Brothers are at first glance a bluegrass band—four musicians playing mandolin, guitar, bass, fiddle and banjo—a little younger, a little more hip perhaps than your average bluegrass band—but a bluegrass band nevertheless. But it didn’t sound like bluegrass at all. Truth is, their music defies any kind of description or category. It’s Punch Brothers music, a blend of folk, rock, classical, jazz, Irish, baroque, country … yes, all of these and more with maybe a bluegrass foundation (if you dig deep enough). Chris Thile was on familiar turf Wednesday night, having grown up around San Diego with Sean and Sara Watkins as one third of the astonishing kid band Nickel Creek which went on to have several hits on the country and Americana charts. He is also a past recipient of the MacArthur Foundation Genius Award ($500,000) which acknowledged what we already knew—that he does things on the mandolin that nobody has ever imagined before. A couple years ago, for instance, he recorded a mandolin album of “sonatas and partitas” written by Johann Sebastian Bach. It was flawless and I’m guessing he did it without charts. The other band members are able to match Thile note for note: Gabe Witcher, fiddle (who I remember playing with his Southern California family band, The Witcher Brothers as a teenager), Noam Pikelny, arguably the best banjo player on the planet these days, Chris Eldridge, guitar (son of bluegrass Hall of Famer Ben Eldridge of the Seldom Scene), and Paul Kowert, who stole the show by playing the highest note on a double bass I’ve ever heard. It was dog-whistle high. Of course he could also play notes so low that the room shook. . Some say The Punch Brothers are the future of bluegrass, but I really don’t think that is being either accurate or fair. What they do musically is so special and so unique that I’m not sure it will ever be duplicated, now or at anytime in the future. These guys are creating something entirely new and to call it the future of anything would be far too limiting and short-sighted. Even though this wasn’t my first time hearing them live, I was completely blown away by their performance on Wednesday. Just like the rest of the sold-out theater, I stood in awe and amazement at the Punch Brothers’ talent and creativity and I as I usually do when I’m having a wonderful musical experience, I thanked God for them. God is after all the giver of all great music—both the ability to play it and to enjoy it. Music is uniquely human and uniquely divine. Heaven is and will be a very musical place, you can count on that. When Bill Monroe (the “Father of Bluegrass Music”) assembled by trial and error the original bluegrass band back in 1945 (the year of my birth!) he discovered that these particular five instruments (mandolin, guitar, fiddle, five-string banjo played three-finger style, and acoustic bass) blend together perfectly to create a wonderful sound. That sound would spread like wildfire and eventually be known as bluegrass music, named after Monroe’s home state of Kentucky. Now, with these same five instruments, The Punch Brothers are making music that can’t be called bluegrass but it can be called wonderful. This entry was posted in Bluegrass and tagged Bluegrass, concert reviews, North Park Theater, Punch Brothers. Bookmark the permalink.